The approach of Labour Day also signals the exciting beginning of a new school year—for some of us, at least. Whether you’re sending your toddler to pre-school or have a teenager who’s off to college, back-to-school shopping remains a time-honoured tradition and helps everyone feel more prepared, and excited, for the semester ahead. From fashionable must-haves to eco-friendly lunch accessories, here are 7 cool finds that the stylish learners in your life are sure to love. Vancouver-based label Respect Your Universe’s sleek, multi-functional backpacks are perfect for going from class to sports practice in style. A molded internal shell protects laptops, while multiple mesh pockets keep their keys and trinkets accessible and organized. Plus, the trademarked nylon fabrics are extra durable, and the exterior is water-resistant. 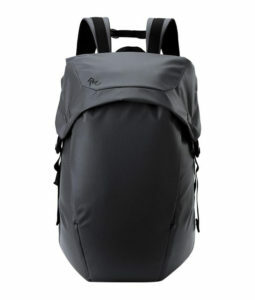 RYU locker pack 24L, available at Equinox. Plastic straws are so last year—in fact, the Toronto City Council recently voted to ban them entirely starting in 2019. 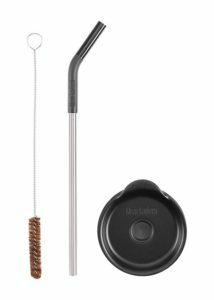 This stylish, portable straw-and-lid set from Kleen Kanteen is made from stainless steel and silicone and works with the brand’s eco-friendly tumblers and cups. It also eliminates the need for juice or iced coffee straws when the kids are on the go. Kleen Kanteen straw lid set, available at Whole Foods. 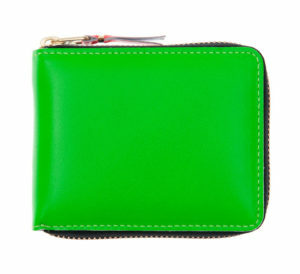 In a bright fluorescent hue, these iconic wallets are appealingly playful but also very practical for any teenager or young adult. The scratch-resistant leather will look great for years, and the closed, zip-around design helps prevent cards or cash from accidently falling out. Comme des Garçons wallet, available at TNT. How adorable would your little one look in these retro-inspired suede sneakers from Jacadi? 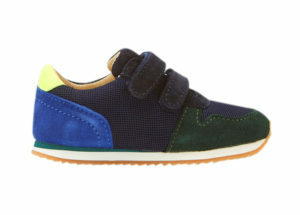 The colour-blocked detail is subtly charming, and even toddlers will be able to handle the Velcro closure. Hooray for not having to deal with laces when you’re running late for the morning drop off! Colourblock sneakers, available at Jacadi. For Cruise 2019, Louis Vuitton collaborated with fashion icon Grace Coddington on a feline-inspired range. Get a head start on the charming trend with this black and white cat-print dress that’s available in kids’ sizes 3Y–12Y. 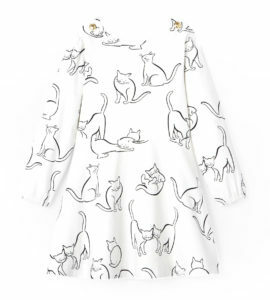 Cat print dress, available at Jacadi. A timeless waxed-cotton jacket is always a smart purchase, no matter the season. This unisex mustard-coloured style by Belstaff reimagines the brand’s iconic Tourmaster design, with child-friendly details such as a lined hood. 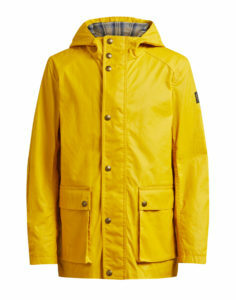 Children’s Tourmaster jacket, available at Belstaff. This designer take on Adidas’ classic Adilette slide would look great at the beach now, and can be styled with cute socks and stylish jeans later. Consider them a perfect mix of trend and function for your teenage fashion plate. Adidas Originals by Alexander Wang Adilette slides, available at TNT Woman.